public administration units performing statutory handling of citizen cases. speeding and facilitiating of the flow of documents, issues, tasks, orders etc. management of company bookings (rooms, fleet, equipment etc.). IntraDOK has embedded security mechanisms such as RBAC (Role Based Access Control). Thanks to this a user is only granted access to documents and functions resulting from his/her authorisations and competence. Each operation on document is registered in internal event log. Authentication of documents with the use of electronic signature by particular system users give a guarantee of its authenticity. Database of telephone and address details IntraDOK has the possibility of creating phone and address database of contractors, personal database of workers as well as defined groups of contacts. These contacts are organized in ordered form thanks to which management of relations is much simpler and more intuitive than until now. Immediate access to documents The conversion of the document form from paper to electronic form allows for immediate access for a large group of users at the same time from the level of WWW browsers. Management of tasks and business processes (Workflow) Characteristical feature of IntraDOK is integration of function of electronic document flow with modelling business processes on any level of details, which results from specific work conditions in a given company or institution. Management of document lifecycle The system is capable of reflect a document lifecycle in an organisation (e.g. : incoming -> registration in the system -> formal verification and description -> approval -> provision for payment -> archiving). 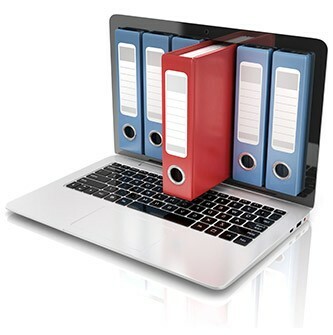 IntraDOK allows for specification of various cycles for various types of documents. Integration IntraDOK enables easy integration of document flow with external systems thanks to application of popular exchange mechanisms. The mechanisms are available in the form of easily configurable components which are introduced to Workflow process by means of a graphic tool. Easy search for information Search for documents in IntraDOK is conducted by means of intuitive graphic tool. There is a possibility to apply ready search filters as well as fields specified by a user. support during obtaining or maintenance of ISO standards in the organisation. National Health Fund in Krakow and many others.